Mr. Rogers: What, you thought Mr. Rogers wasn't into gaming?I've been so busy lately that I haven't been able to keep up with my blog reading...And boy, have I missed some cool stuff. Let me run through some of the most interesting posts. 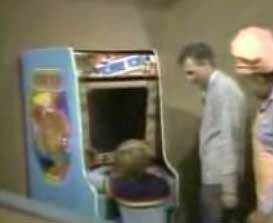 First off, from Kotaku comes this snippet of A Mr. Roger's Neighborhood episode featuring Donkey Kong. Fred Rogers reveals himself to be a true hacker, asking not just to play the game but to see inside the box to see how it works. Fun! And, by the way, anyone who thinks Fred Rogers was a pedo is truly sick. Next up, Racketboy runs through the best games for Sega's Master System, starting off with Phantasy Star. Psycho Fox, anyone? 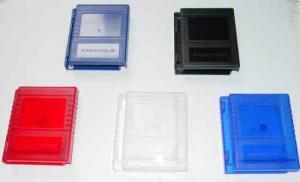 Thirdly, buried in this site is an announcement that Epyx will be releasing some of its C-64 titles for the Wii. Sorry, no titles as of yet...!